>>> Make the Most Awesome & Delicious Pizzas Ever - Over 100 Toppings! 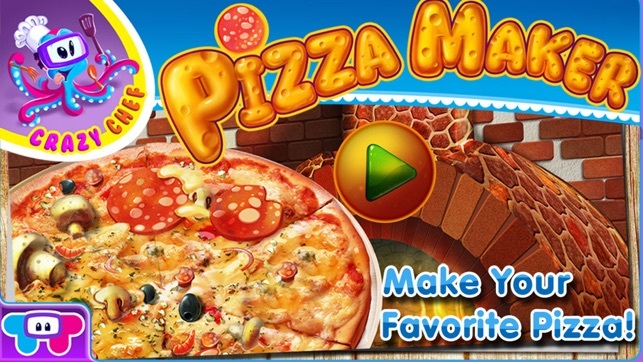 Kids, it’s time to grab your pizza aprons and pepperoni, we’re gonna create some amazing and totally insane pizzas! 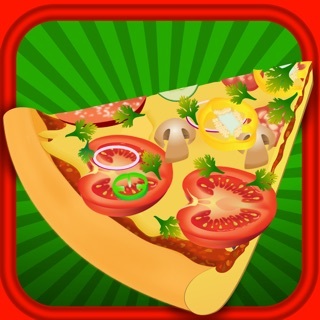 With more than 100 toppings to choose from including dozens of vegetables, meats, cheeses, herbs & spices, seafood, fruit and even candy toppings - this pizza maker app is beyond awesome! Make the pizza dough from scratch and stretch it out. Then mix up the homemade sauce, grate some fresh cheese and sprinkle on top and bake the pizza in a brick oven. But keep your eye on the thermometer - you don’t want your pizza to burn! 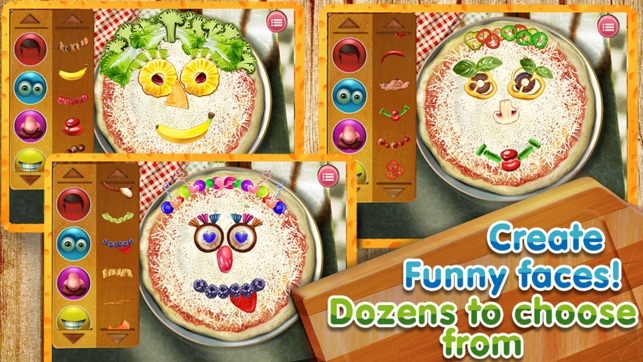 Decorate your pizza and make funny and silly faces out of the most awesome toppings. 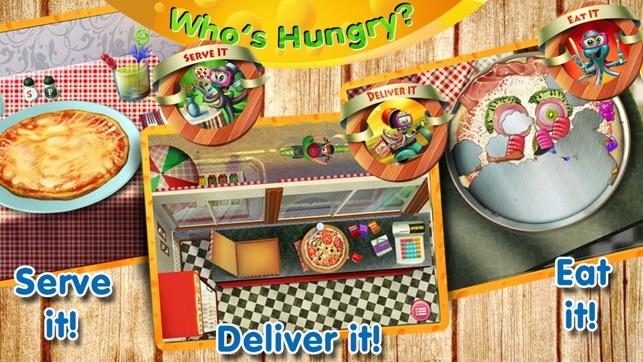 After you’re done making, baking and decorating your pizza creation, it’s time to eat it, serve it or deliver it! Yes, that’s right, you’re going to slice up the pizza at the shop, put in a box and give it to the delivery dude and send your pizza and all of the extra items off for delivery. You can also sit down and eat your pizza, gobble it up and set a fun table with colorful napkins, drinks, and fancy straws. 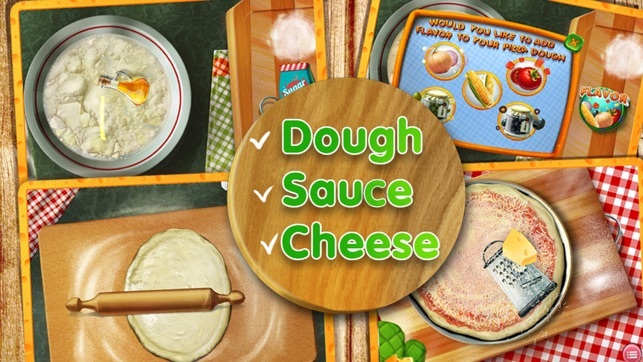 So much to do in this fantastic Pizza Crazy Chef game - you can be baking all day long! And don’t forget to show your creation before you’re done to your friends and family too! 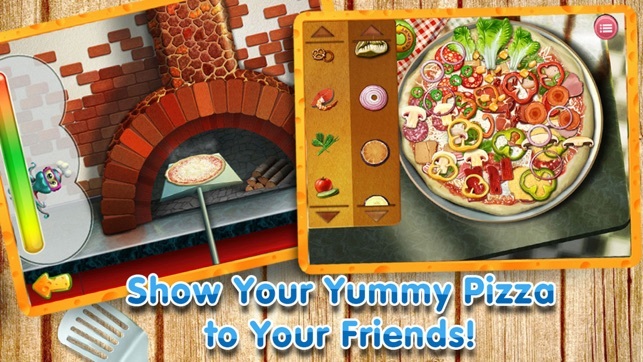 > Slide the pizza into the brick oven and control the baking! >Zap! We’ve swatted the icky bugs! Now your game is creepy-crawler free and faster than ever! >Thanks for being awesome players! Send us your feedback so we can keep making games you love. Pizza Maker?? How bout trash maker! 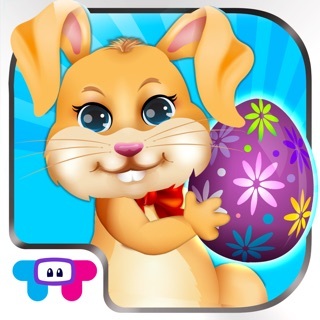 Let's start by saying the the name of this game is very misleading. It says you are a pizza chef when really the purple octopus is the chef. Also after making my pizza I pressed deliver and the guy never showed up at my house! I had to make a decision... Sell our house for food or starve my kids to death. Since I'm sitting in my home right now you know what decision I made. This game ruined my life. I had to go to weekly anger management sessions with my therapist because of the anger I felt towards the octopus... If you want to teach your kid to be a slob buy this game because it will be great! If you want your kid to be acceptable in society then buy Fire Truck 3D. It teaches kids the skills they need to pay the bills. No pun intended. And this game can cause health problems. In the decoration phase there is an option to put raw meat on your pizza which in reality can kill kids! So I don't know if this octopus hates kids or what but -10/5 rating from me! Waste of my time,money,and waste of my kids! This app is really great, but I think you can make it even better by adding Save to Photos for the categories at the end, because one time I was making pizza for my mom's beloved friend in which I call Tito Ian. Ok, he wasn't really my uncle, but I wanted to make 2 gifts for him last weekend. 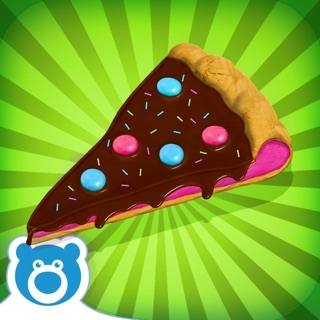 The Cake Pop maker app allowed me to save my cake pop to photos, the pizza app, no. 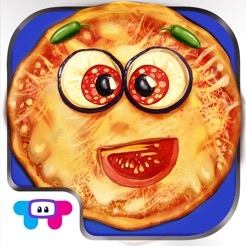 I couldn't hold the pizza app for a very long time and I had to press the home button. So Ian didn't get to see his pizza when woke up, but he did see his cake pop. Again, please put Save to Photos as 1 category at the end. Sorry if this is too long, and I'm wasting your time.